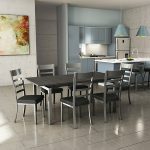 Can I mix and match different styles of stools and chairs in my kitchen? It can help break up the room, defining locations without a wall. It can build contrast in the room. It can create a sense of excitement in an otherwise dull space. 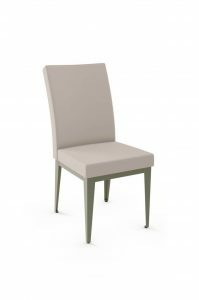 It can help offer certain benefits based on the intent of the seating. 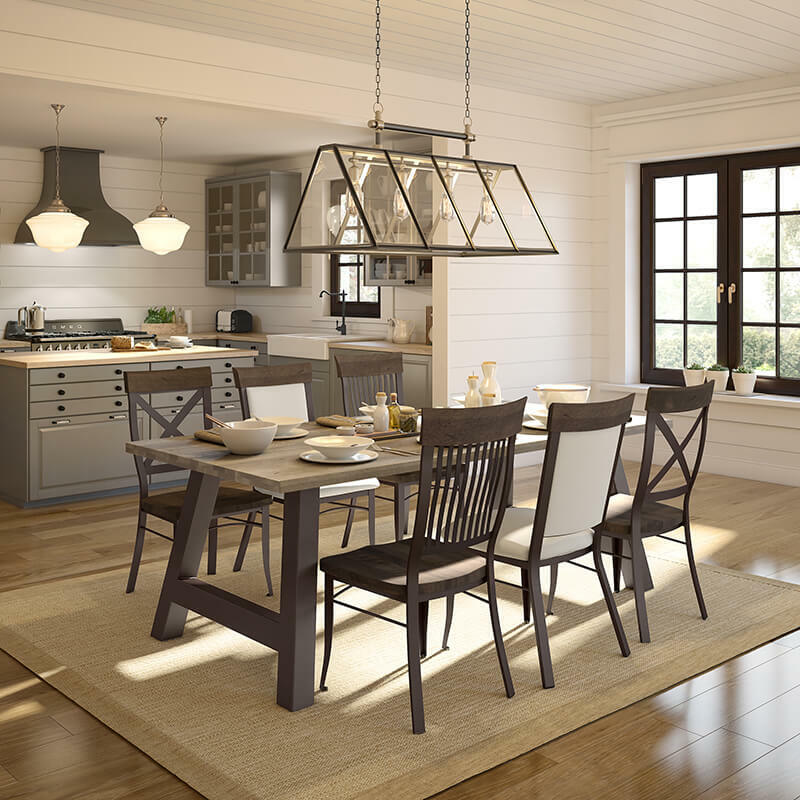 For example, stools with arms may be better near your kitchen island, since you’re higher up; however a dining chair without arms may not be needed at the dining table. 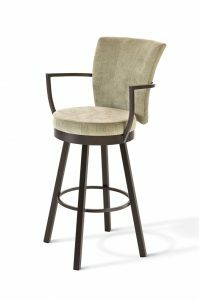 Consider selecting a bar stool and dining chair of the same brand, ensuring the finishes and fabrics will be the same. 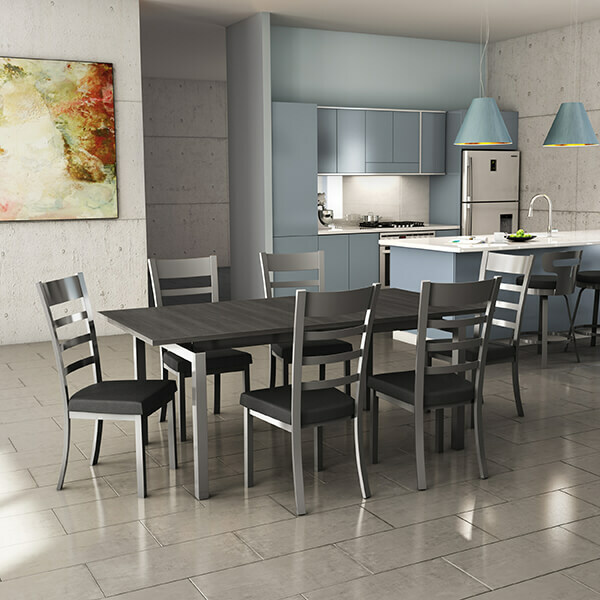 If you choose our Amisco 24 Magnetite metal finish, be sure to keep it on your stools and chairs for a cohesive look. Consider one color, varying the shades. 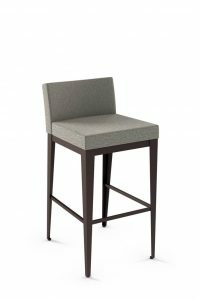 You can have the dining chairs in a dark gray and the bar stools in a lighter gray. 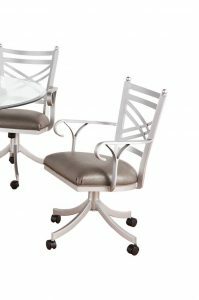 If you want to change up the metal finish color, consider keeping the same seat cushion color and vice versa. You can also do contrasting colors such as reds and blues for the seat cushions which will create an eye-popping look. 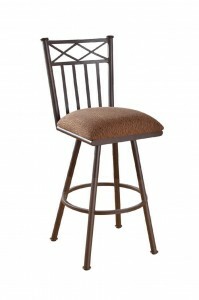 You might want to opt for a stool with a low back in the kitchen and have a stool with a high back in the dining room. 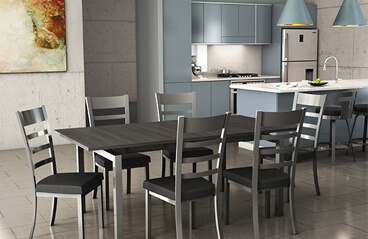 In the first kitchen, the Owen chair and Times barstools both have the same silver finish and black seat cushion. Also, the Times bar stools have a metal back, instead of a padded back which makes this kitchen work. In the second photo, they’re using the same Bean styles, but on the dining chairs the seat is wood, while on the barstools, the seat is padded. It’s a nice contrast without going too different if that’s not your cup of tea. 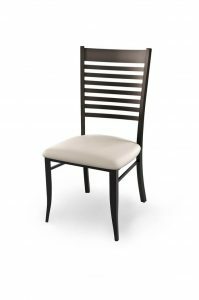 In the last photo, you’ll see a way to mix and match dining chair styles. 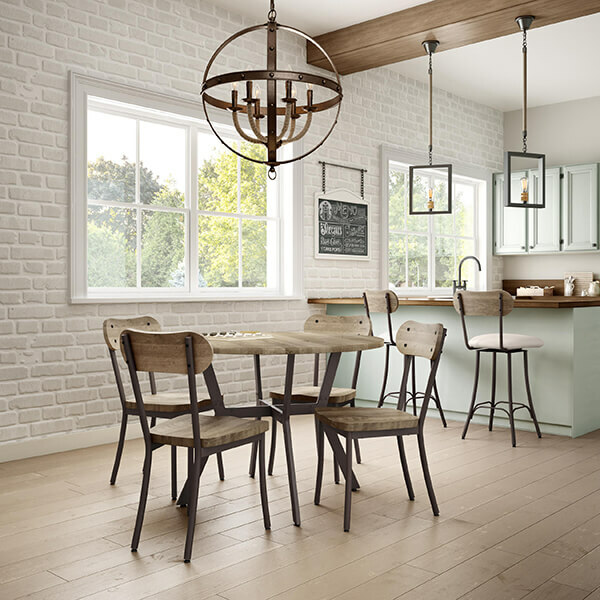 The dining chairs going the long way are more industrial styled, while the two end chairs are modern. This photo is a great example of mixing industrial styles with modern styles. You could do the same here using two traditional chairs with three modern chairs. Still unsure? Just ask! Deborah has been our designer for over 20 years and will be glad to assist you! Or, dive in and read up on How to Pick Colors for Your Stools in our comprehensive article.